It is necessary to keep the relative humidity level in homes between 30 to 50 percent, with the ideal level being about 45 percent. Humidifiers are great tools for helping you keep a healthy humidity level in your homes if low humidity is common. Low humidity or lack of moisture means the air in your house will be dry. Without decent moisture, you open yourself up to all of the illnesses that come with dry air: dry nose and throat, dry skin, and an increased chance of catching a cold. Aside from all the ways your body suffers, dryness can also affect your home. Low humidity can destroy wood and drywall, causing your wood floors to shrink and even making pianos go out of tune. Humidifiers add moisture to your room using either warm or cool mist technologies. 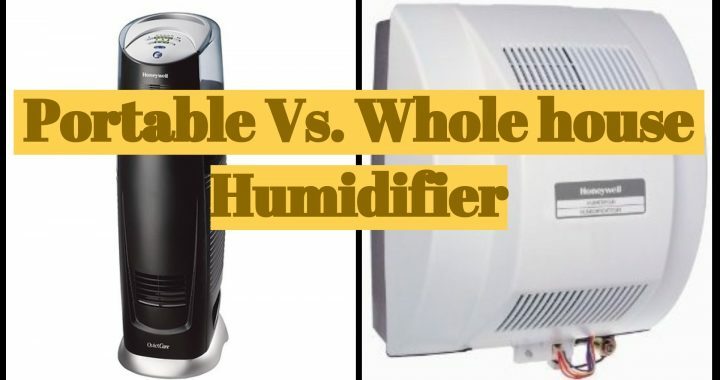 Since both types have their pros and cons, familiarizing yourself with the differences between warm mist humidifiers and cool mist humidifiers will help you choose the best one for your requirements. Cool mist humidifiers disperse a stream close to room-temperature mist. There are basically two types of cool mist humidifiers – evaporative and ultrasonic. Cool mist evaporative humidifiers use an internal wick filter to absorb water while a fan blows the air through the filter. During this process, the water evaporates throughout your room as an invisible mist. 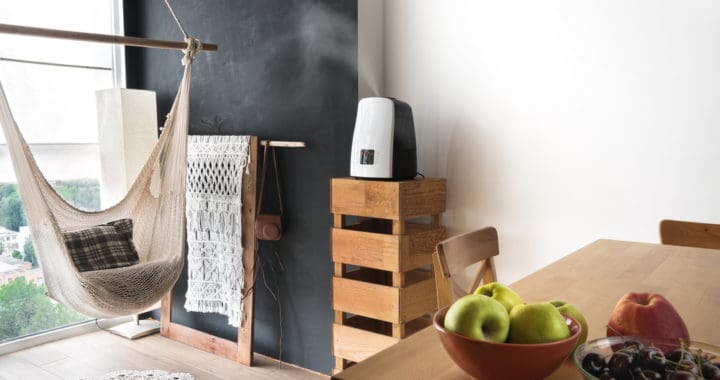 Cool mist ultrasonic humidifiers use ultrasonic vibration technology to produce a micro-fine cool mist that is silently released throughout your environment. 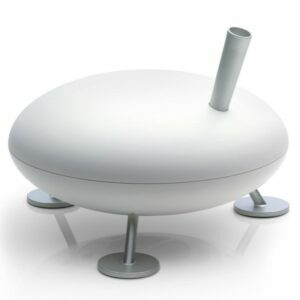 Cool mist humidifiers can add moisture to small and large areas, even entire houses. Cool mist humidifiers use less electricity because the water is not heated before it is dispersed. Also, cool mist humidifiers are safer to use if young children are in the home. That’s because a warm mist humidifier works with a heating element that heats the water in the container to create a steam mist that is expelled to the room. One disadvantage to cool mist evaporative humidifiers is noise. Since these devices use fans to cover your room with moisture, they can be slightly noisier than other humidifier types. Additionally, the cool mist usually makes breathing easier for asthma and allergies. Warm mist humidifiers boil the water before releasing it into the room. This steam is like a soft spray of warm water, as opposed to a vapor, and this is focused in the area nearby to the humidifier. These humidifiers are often rated healthier since the boiling process kills waterborne bacteria and mold, which prevents them from entering the air you breathe. They are a little quieter than cool mist humidifiers. 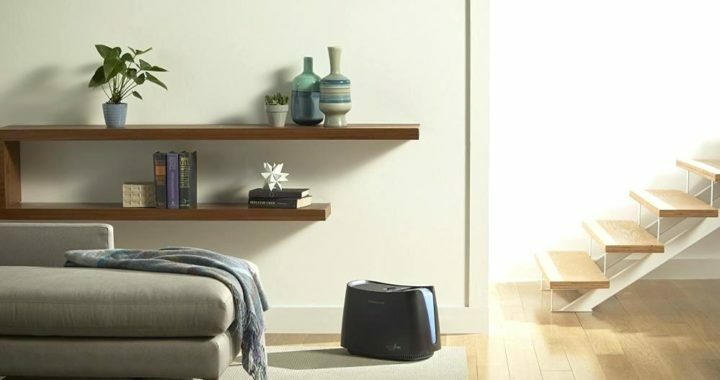 Also, warm mist humidifiers are not for large areas, they work best in small areas like bedrooms and offices. In addition, warm mist humidifiers are more expensive to operate and they do require more frequent cleaning due to the fact that warm water, which encourages bacterial growth, is in the unit. Anyway, many people have found these humidifiers to be more comfortable for use during cold winter months. Both get the job done. It’s up to you to choose what works better for you. Whatever you select, make sure you stay healthy indoors. 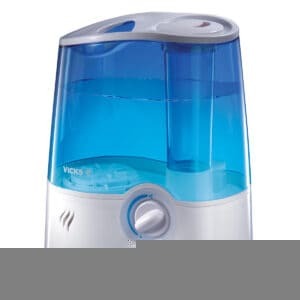 Take a look at my humidifiers comparison charts. Posted in Humidifiers and tagged Cool mist humidifiers, Humidifier, Warm mist humidifiers.